Louis B. 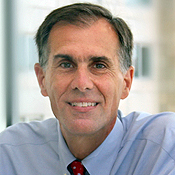 Rice, MD is the Chairman of the Department of Medicine, Joukowsky Family Professor of Medicine, and Professor of Molecular Microbiology & Immunology at the Warren Alpert Medical School of Brown University, and the Physician-in-Chief of Medicine at Rhode Island Hospital and The Miriam Hospital in Providence, RI. He serves as the Executive Physician-in-Chief of Medicine at Memorial Hospital of Rhode Island, the Providence Veterans Administration Medical Center and Women & Infants Hospital. Dr. Rice is also the President of Brown Medicine. Dr. Rice is a member of the American Society for Microbiology (ASM) and Editor-in-Chief of the ASM journal, Antimicrobial Agents and Chemotherapy; the Infectious Disease Society of America, where he currently is on the Board of Directors, chairs the research committee and the research on resistance working group; and is a fellow of the American College of Physicians. Dr. Rice received his undergraduate degree from Harvard University and his medical degree from Columbia University College of Physicians and Surgeons. He completed his internship and residency in medicine at New York University Medical Center. He also completed clinical and research fellowships in infectious diseases at the former New England Deaconess Medical Center and Harvard Medical School. 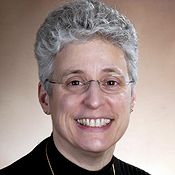 Angela M. Caliendo, MD, PhD is Professor, Executive Vice Chair of the Department of Medicine, and Director of the Division of General Internal Medicine at the Warren Alpert Medical School of Brown University. She also serves as the Vice President of Brown Medicine. Dr. Caliendo received a PhD (Biochemistry) and MD from Case Western Reserve University School of Medicine and completed an internship and residency in Internal Medicine at Brigham and Women’s Hospital in Boston, MA and an Infectious Diseases fellowship at Massachusetts General Hospital, Boston MA. After completing fellowship training she joined the faculty at the MGH as an assistant director of microbiology with responsibilities for the clinical virology and molecular diagnostics sections of the laboratory. In 1999 she joined the faculty at Emory University School of Medicine, initially as the Medical Director of the Microbiology and Molecular Diagnostics Laboratories and later became the Director of Emory Medical Laboratories, and Professor and Vice Chair of Pathology and Laboratory Medicine. Ann Kashmanian, CPA, MBA is the Chief Executive Officer of Brown Medicine. Ann is a graduate of Holy Cross College and received advanced degrees in Business Administration and the Science of Accounting at Northeastern University. 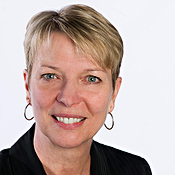 She has been active in financial management in the health care sector of Rhode Island since 1987. For the last fifteen years, she has served a number of important roles for the Lifespan Corporation, including Treasurer and CFO of Newport Hospital and Vice President Finance for Rhode Island Hospital and the Miriam Hospital. She most recently served as Senior Vice President of Financial Operations and Care Management at Lifespan. Her responsibilities at Brown Medicine as Chief Financial Officer included developing a strategic financial plan to allow Brown Medicine to thrive in a rapidly changing health care environment, exploring new business models to optimize our relationships with our health care partners and coordinating our internal financial management structure and practices.. In her new role she will be responsible for executing the strategic vision of the organization as defined by the physician leadership to support the organization’s tripartite mission of clinical care, teaching, and research. Peter Hollmann, MD is the Chief Medical Officer of Brown Medicine. He is an Assistant Clinical Professor of Family Medicine. Prior to coming to Brown Medicine he served as a medical director of Blue Cross and Blue Shield of RI for 25 years while maintaining a primary care practice in general internal medicine and geriatrics. 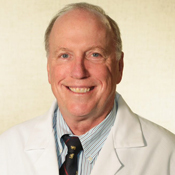 Dr. Hollmann received undergraduate and medical degrees from Brown University. He trained in Internal Medicine and Geriatric Medicine, also at Brown. In 2015 he joined Brown Medicine. He is a board member of the American Geriatrics Society, RI Medical Society and past Chair of the AMA CPT Editorial Panel. He represents the American Medical Association on the AMA Specialty Society RBRVS Update Committee (RUC) and is a member of the NCQA Geriatric Measures Advisory Panel. He is active is state-wide healthcare transformation efforts. 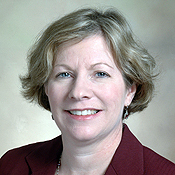 Tammy Lederer is the Chief Human Resources Officer of Brown Medicine. She is a graduate of University of Rhode Island (Kingston) and holds a Bachelor of Science degree in Business Administration. For the past 30 years, Tammy has worked in for-profit, academic and non-profit healthcare sectors with over 13 of those years in human resources leadership. Prior to joining Brown Medicine in 2004, she served as Human Resources Representative for Lifespan focusing on recruitment and employee and labor relations. Tammy has earned professional human resources certification from the Society of Human Resources Management (SHRM) and is a member of the Medical Group Management Association, American Institute of Management, American Society for Healthcare Human Resources Administration, and Rhode Island SHRM. In her role at Brown Medicine, Tammy leads the Human Resources functions organization-wide and oversees public relations and marketing communications initiatives. Crystal Pilon is a graduate of the Rhode Island Hospital School of Medical Technology with a BS in Medical Technology and a Masters of Business Administration from Bryant University. 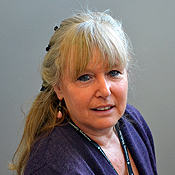 She has been active in the clinical laboratory and healthcare information industry since 1980. She became Chief Information Officer with The Westerly Hospital in 1998, and Vice President for Information Services with Saint Joseph Health Services in 2004. Crystal founded FCP Health Solutions, LLC, in 2011, and specializes in Electronic Medical Record, IT governance, strategic planning, staff development, and large technical infrastructure deployments in hospitals and integrated care networks. She served as IT Director, Project Manager, and Transitional Occupancy Manager, for the vision, design, construction, and activation of Memorial Hospital East. Located in Shiloh, Illinois, Memorial Hospital East is a 94 bed, full service, digital, acute care community hospital, activated in April 2016. Joining Brown Medicine first as a consultant and in February 2017 as CIO, Crystal provides strategic leadership for Information Technology, Telecommunications, Electronic Medical Record, Analytics, Quality and Regulatory Reporting, and care transformation. Her years of clinical experience inform her facilitative leadership style, customer service values, accountability, and technical problem solving ability.